Working with young kids? 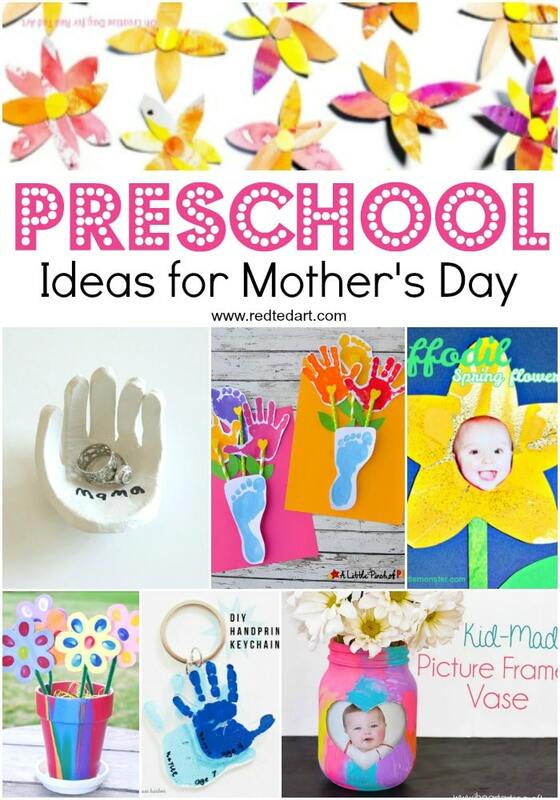 Want to make something special for Mother’s Day with Preschoolers? 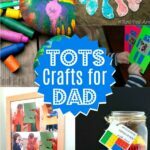 We have shared our Top Mother’s Day Crafts for Kids before, but felt like you still needed a resource page JUST for Preschooler Crafts. 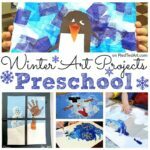 With a little guidance and clever ideas, Preschoolers produce the most wonderful creative projects. Perfect for Mother’s Day, Mom’s Birthday or Grandma! Here are our favourite makes to date. 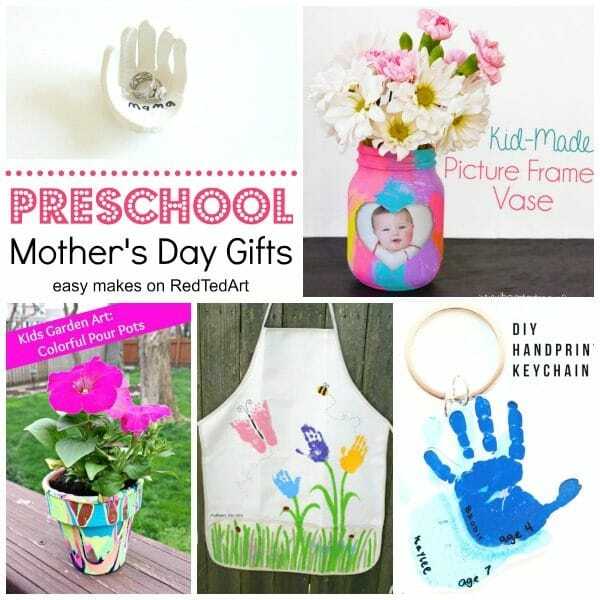 We first focus on the mother’s day activities for preschoolers that we have made here on Red Ted Art before. Below we have more great and easy DIY Mother’s Day Gifts and ideas from fellow bloggers! 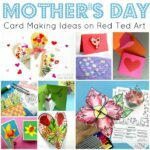 There is nothing more especial than a homemade Mother’s Day Card or Craft!! Enjoy. Yarn Wrapped Heart Bookmarks – aren’t these simply darling? We have made so many lovely Flower Crafts for Kids over the years. Here is a favourite selection that would be particularly suitable for Mother’s Day made by toddlers through to preschoolers! Easy Paper Tulip for Mum – you can start kids surpisingly young on origami.. go on, be brave, have a go and reap all the educational benefits of origami! Egg Carton Flowers – these are always a winner.. whether for Valentine’s Day, a birthday or Mother’s Day. 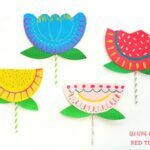 Simple polymer clay flower cards – a simple circle based technique the kids will love. Paper Heart Flowers – such a cute way to put together some rainbow flower cards. 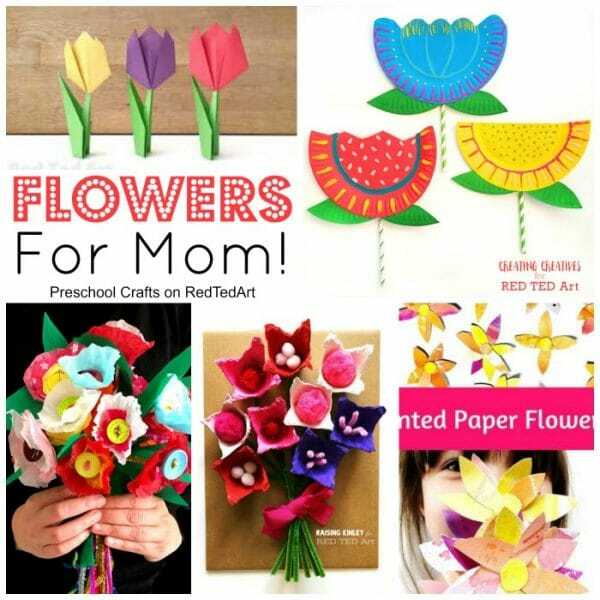 Kids’ Art Paper Flower Bouquet – love turning kids’ art into new crafts! Tissue Paper Flower Bouquet – love the combination of tissue paper and buttons. Great for fine motor skilsl. Great Paper Plate Flowers for Mother’s Day- these are just to fun! Arty and easy Newspaper Flowers – another great craft for Mother’s Day! 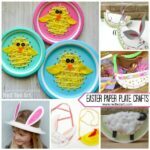 These crafts are suitable for for kindergarten, toddlers and preschoolers! 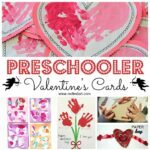 The first set in this list are wonderful cards for MOM that young kids can make. With some cute preschooler gifts towards the bottom. A Little Pinch of Perfect has my favourite hand and footprint combination – handprint flowers in a footprint vase. How cute! 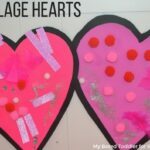 Tots Schooling makes us fall in love with Tissue Paper Flower Art all over again. Messy Little Monster delights us with Photo Daffodil Cards!! Who doesn’t love a preschooler photo on a Mother’s Day Card!? 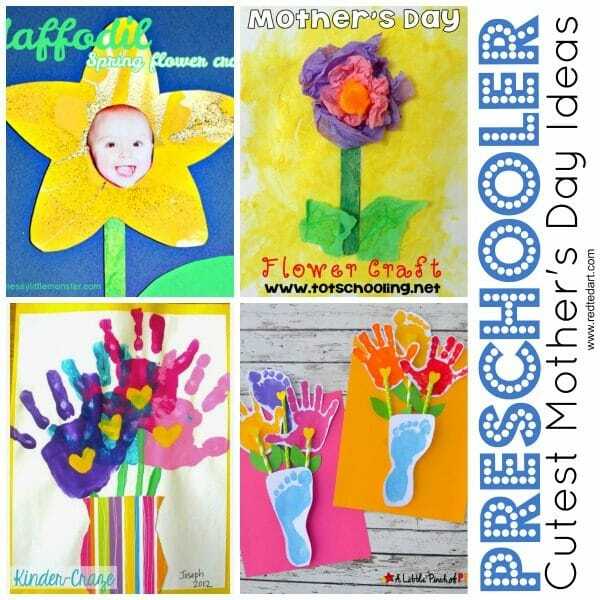 In lieu of Preschool shares some super simple but lovely Thumbprint Flower Bouquets. I also adore this handprint flower bouquet – the little hearts at the centre are just adorable. Find out more from the Mother’s Day Teaparty at Kinder Craze! 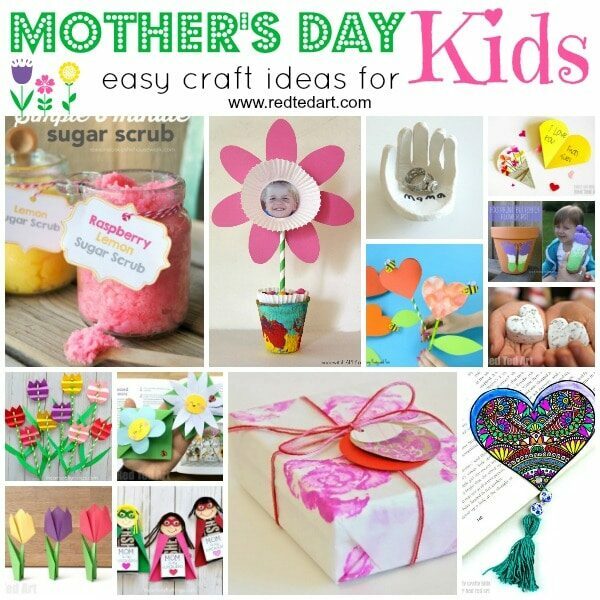 Now time for some adorable Mother’s Day Gifts for preschoolers to make! We always love a Mother’s Day Apron – such as this handprint design by Easy Preschool Crafts. Cutest Handshaped Dish from Mama Papa Bubba! Or how about this Grandma/ Mother’s Day Handprint Heart by Crafty Morning? Have some fun with “drip painting” flower pots. A really fun process and a great way to give flowers to Mom! Find out more on KCEdventures. These DIY Keychain Shrinky Dinks don’t get any cuter! Find out more on Grey House Harbor. Finally, a clever Picture Frame Vase by I Heart Arts n Crafts.